Look at all of these colors! Ther'es something for everyone! First up, Waterworks! 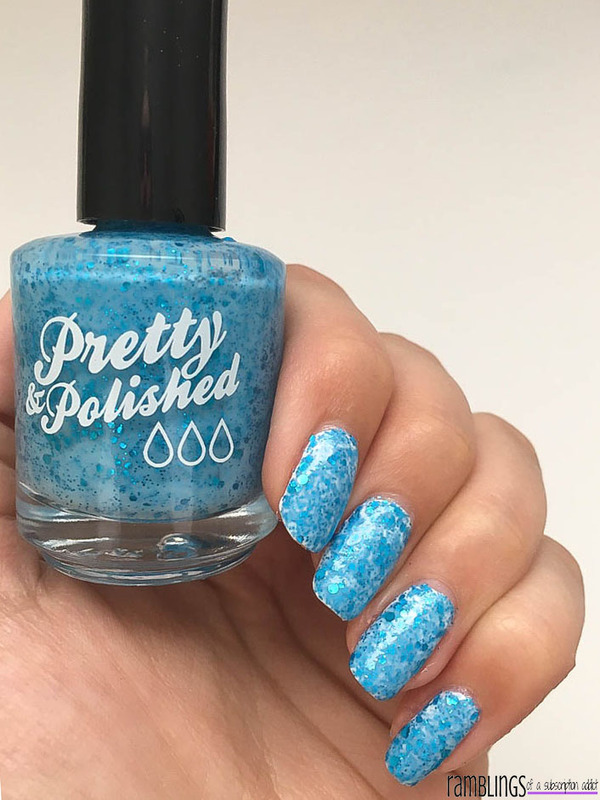 Waterworks is a barely there light blue base with small and large blue glitters packed in! I used Waterworks over a white base but realized soon after that it could be a fully opaque polish without. 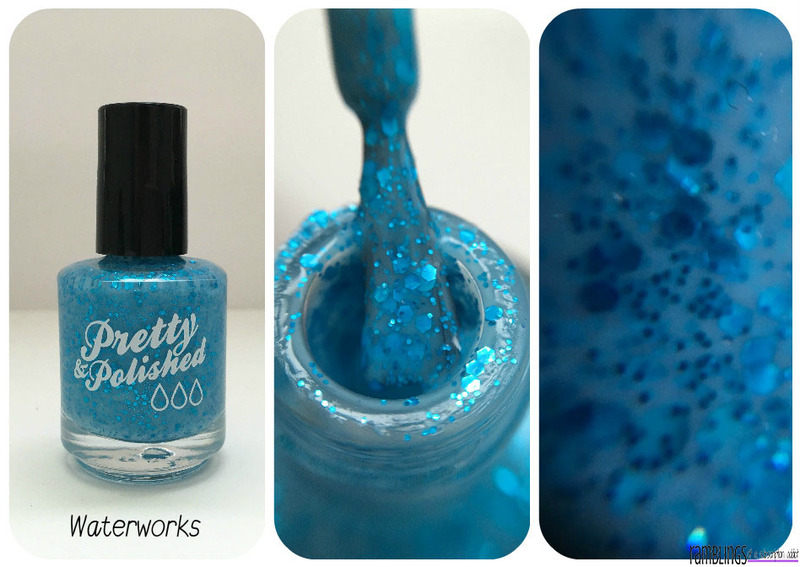 Shown is one coat of polish with some additional dabbing for more glitter pieces. It dries slightly matte, so I added a glossy top coat for shine. I definitely see the 'water,' it reminds me of a very clear ocean scene. Just a single coat of top coat was enough to smooth this out, so no roughness! 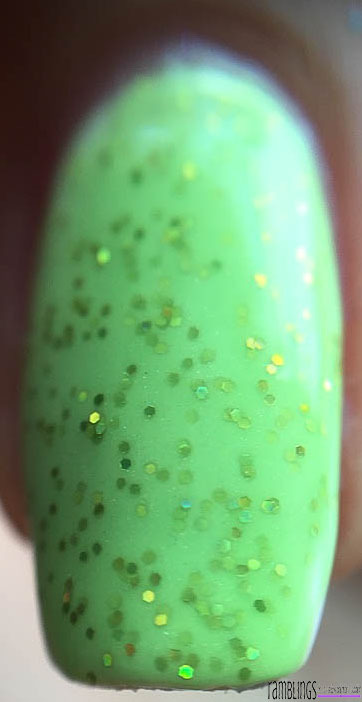 This is a macro shot without the added top coat, because I really loved the depth of this polish. 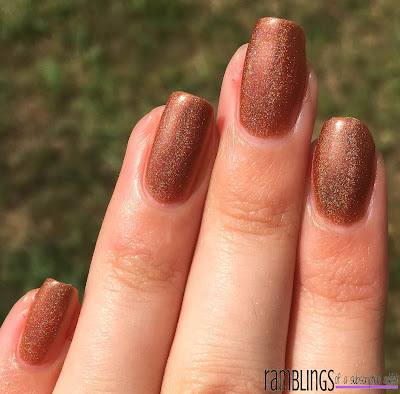 Next up is Scorched, a dark caramel linear holographic polish. Scorched isn't a strong holographic, it's not as evident inside as it is with direct sunlight. Without the holographic, it's a great brown to have as a neutral or as a part of a really cool nail art. It took two coats to become fully opaque and I used a coat of glossy top coat to just add some shine. I then stepped outside to show what Scorched looks like with all of the holographic showing off! Finally, Peridot. 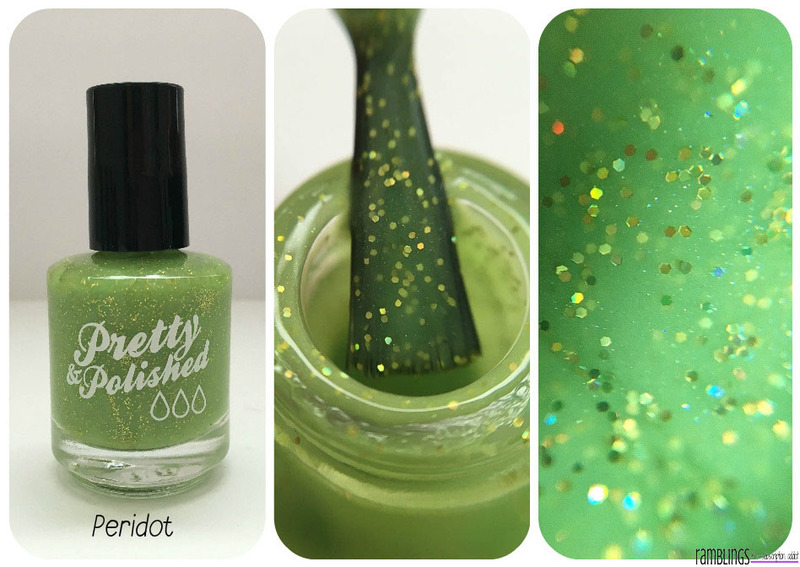 Peridot is a sheer lime green base with holographic gold glitters. 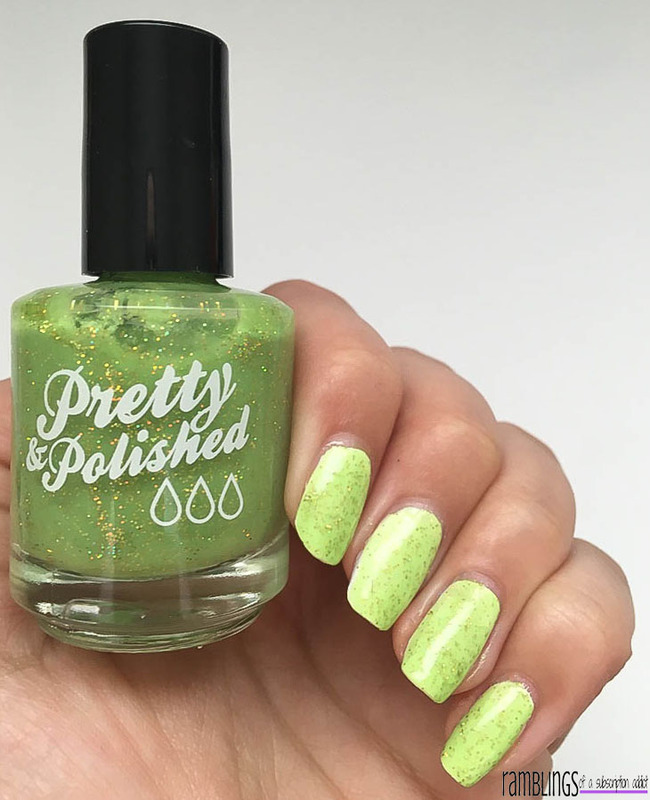 I used Peridot over a white base, so I only used one coat. 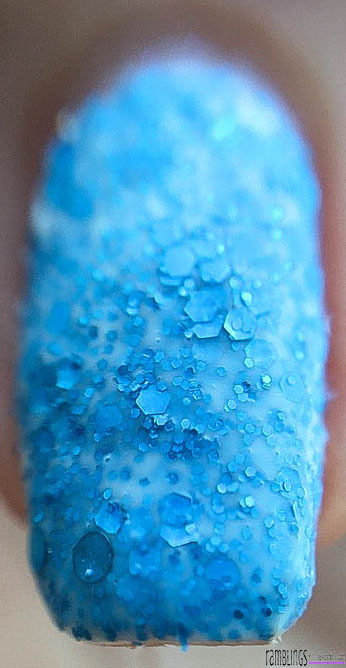 It is a sheer base, so it could be layered over different colors to change what the shade is. 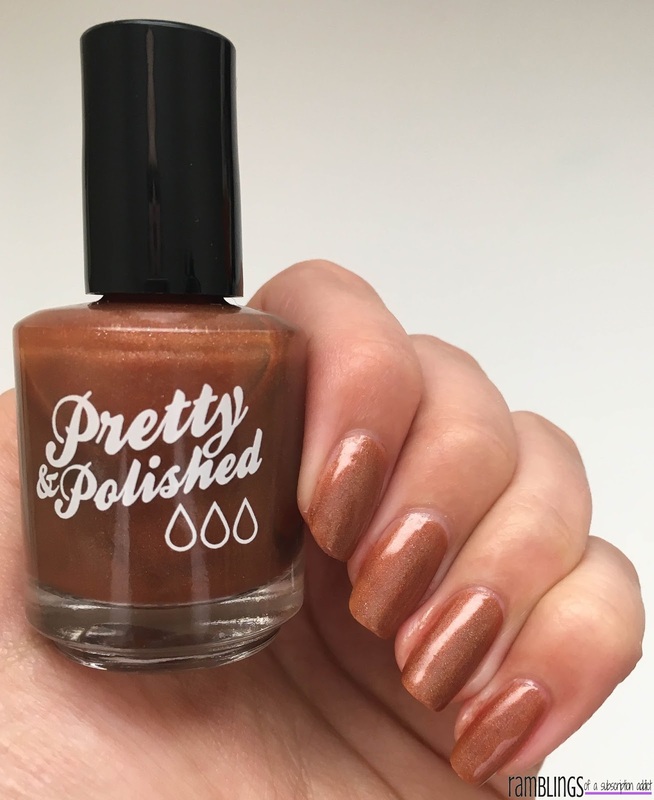 There isn't any texture from this polish, so I only added the glossy top coat for shine. I did matte this (below) and I definitely love it matte! A lot of things I've seen that are named/based off of Peridot tend to be lame, but I really love this rendition! 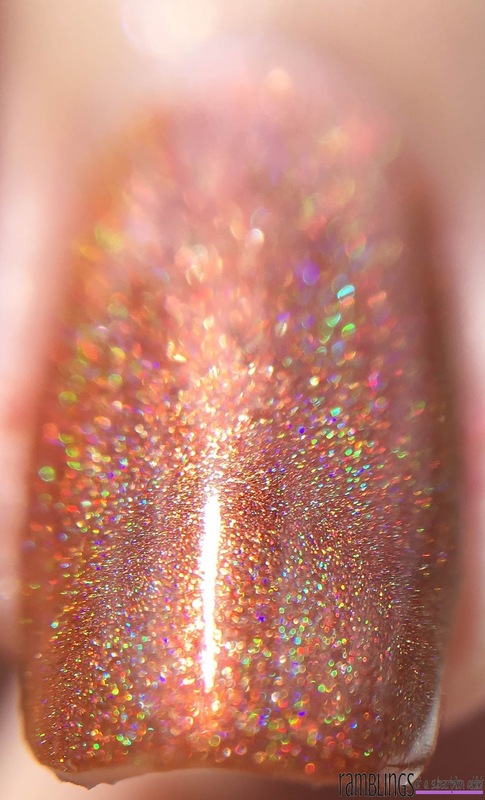 Macro to see all of the glitters! 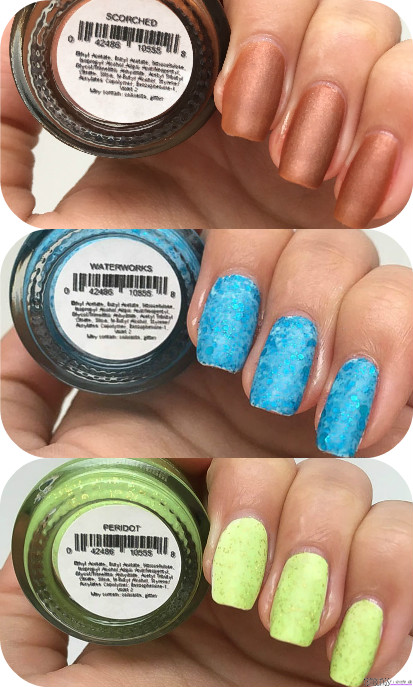 Mattes of all three polishes. I really love the August Beauty Box from Pretty & Polished. The colors are all fun and different, and I can see them all being used in different looks. As I said before, this box is available until the end of the month. 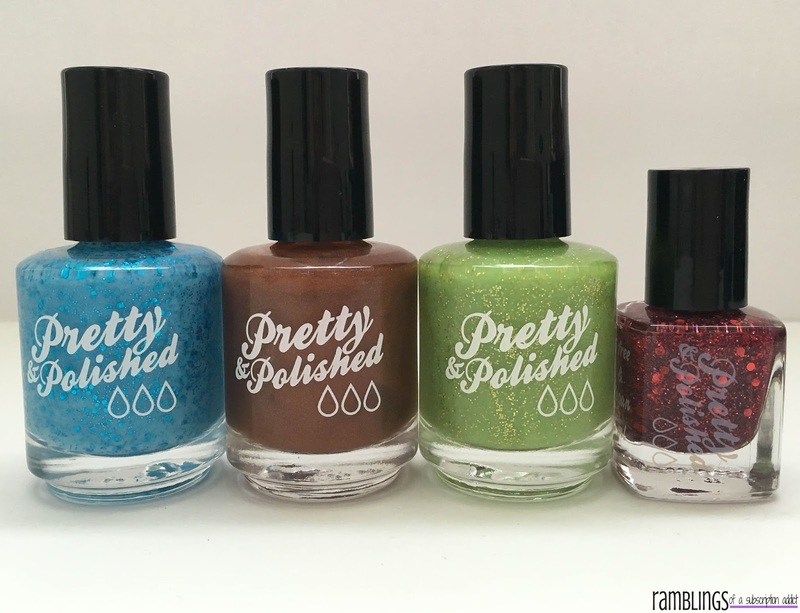 Did you have a favorite polish? Let me know in the comments!